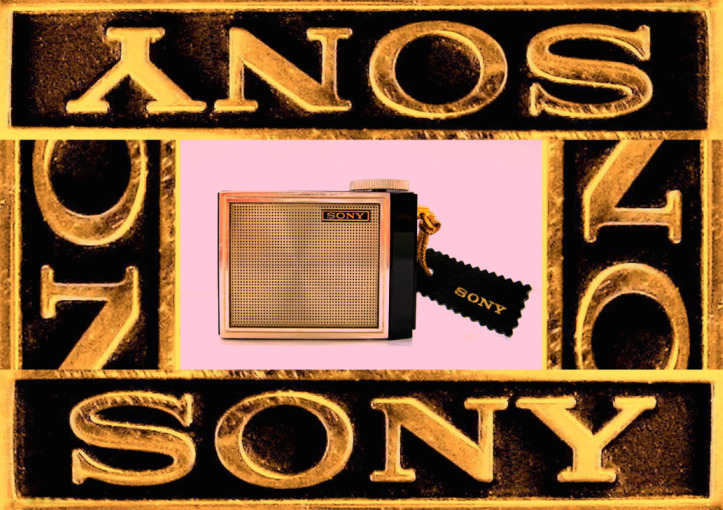 "Crystal Clear & Rich Sound From The Efficient Full-Tone Speaker"! Well not quite, its a bit 'tinny' to be honest. 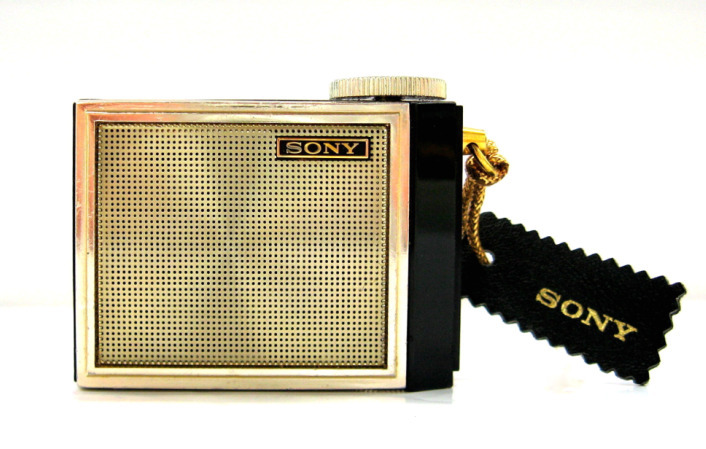 But what would you expect from a 1½" speaker? 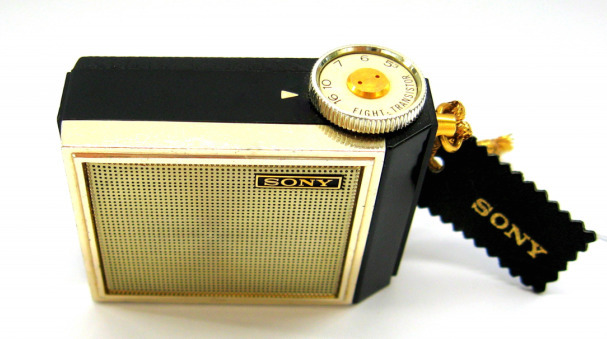 The Sony 1R-81 was released onto the market in 1965. 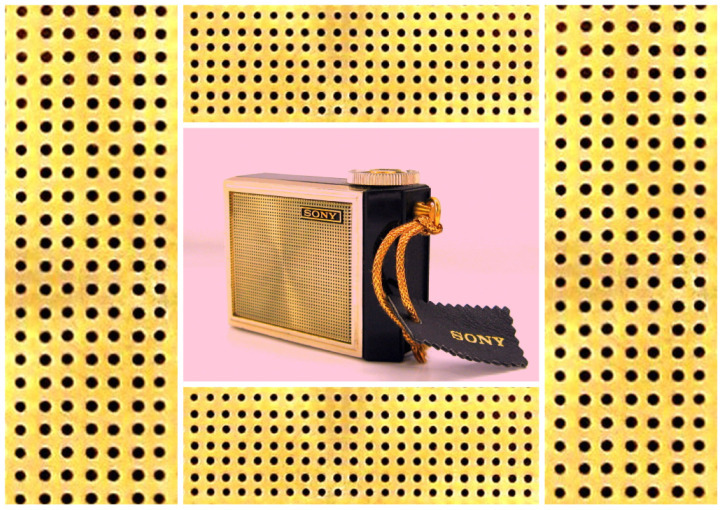 It is one of the 'micro' radios; tiny radios that slip easily into a pocket or purse or can even be used as a keyring. 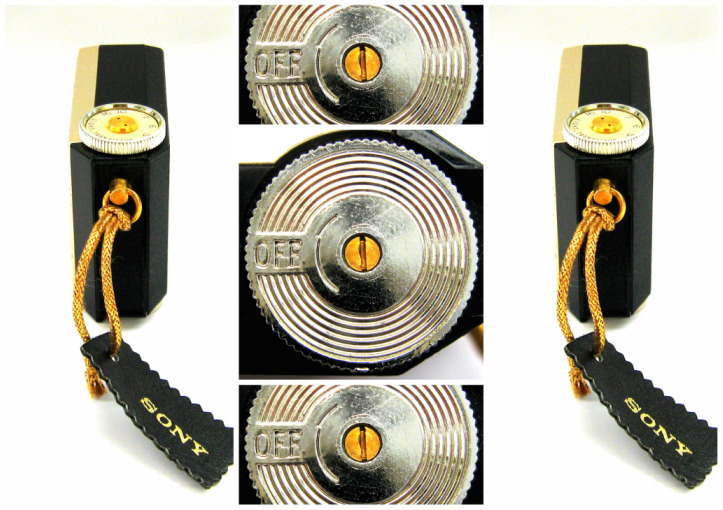 It measures just 2.37 (w) x 1.75 (h) x .87 inches (d). 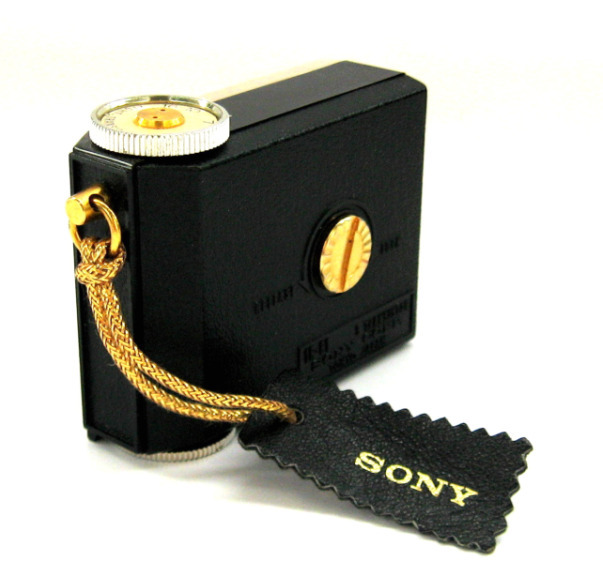 Somehow the design team at Sony managed to cram an 8 transistor circuit, speaker, ferrite antenna, tuning capacitor, volume control and batteries into this tiny case! 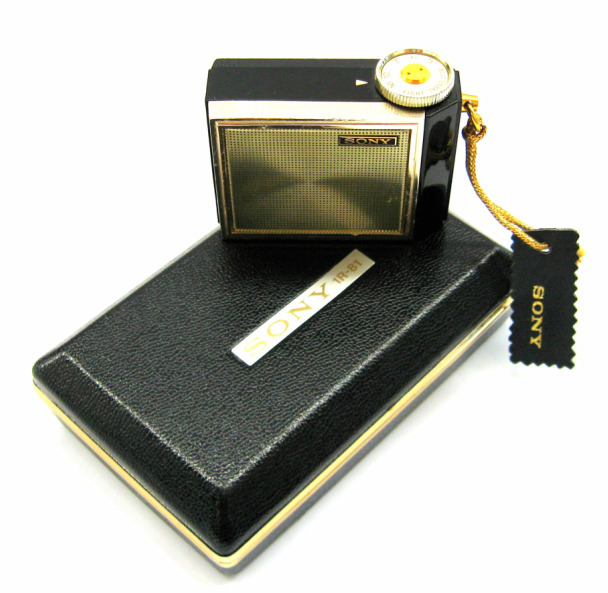 The trend towards micro radios was started in 1962 with the release of the Standard Micronic Ruby. 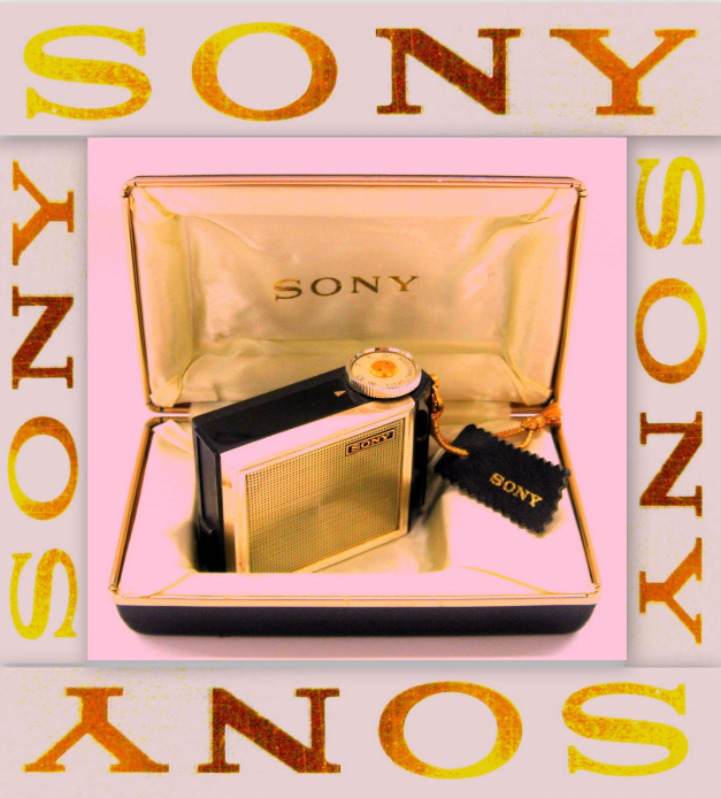 That 7 transistor radio was even smaller than this offering from Sony. 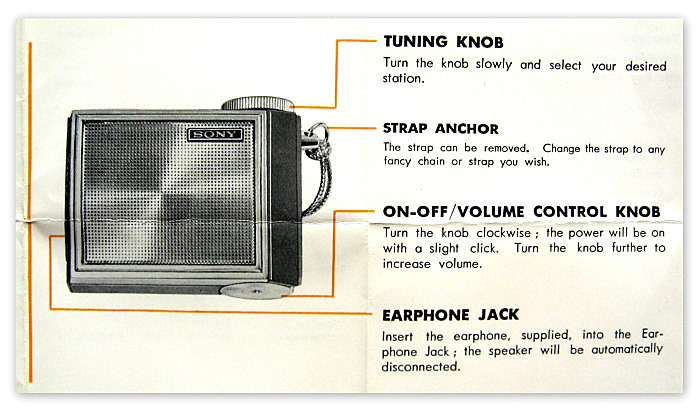 The above is part of an advertisement for this radio that appeared in a May 6 1967 edition of the Chicago Tribune. 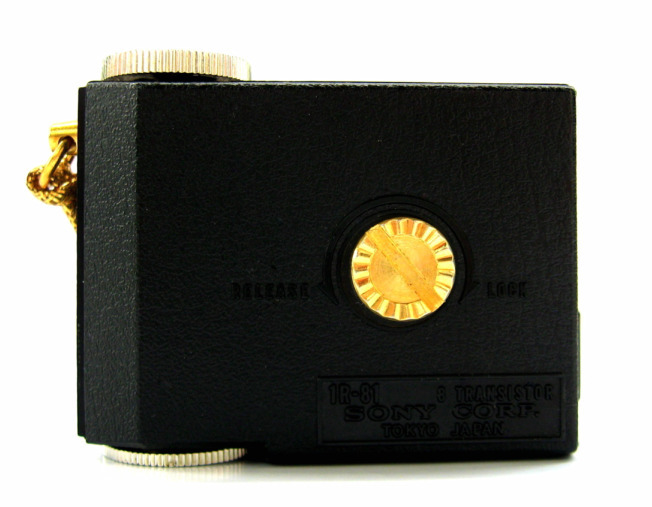 The tuning dial on the 1R-81 is situated on top and the volume knob underneath. Sections of the black cabinet are smooth and shiny whilst others have a textured finish, I assume for added grip. 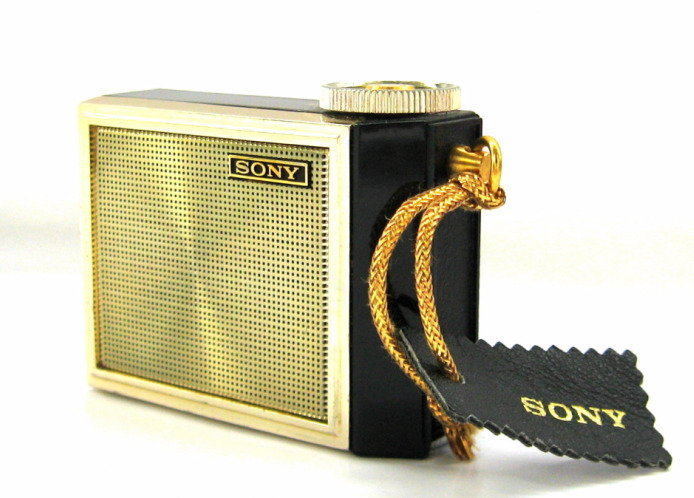 The speaker grill is gold with additional gold accents on the surround and the middle of the tuning dial, volume knob and a large screw on the back. 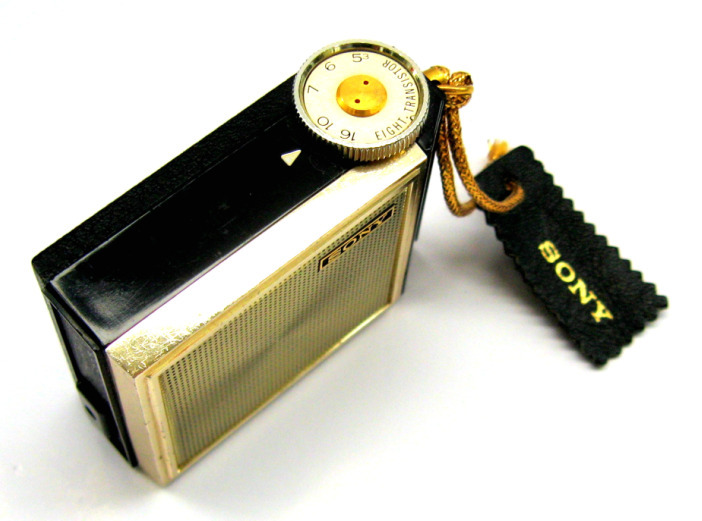 It is stamped on the back "1R-81 8 TRANSISTOR SONY CORP TOKYO JAPAN". 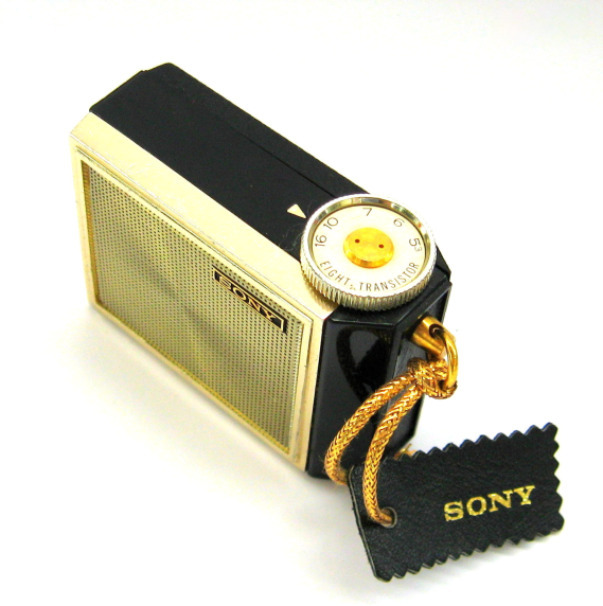 It has a small Sony badge on the front and these are prone to falling off. 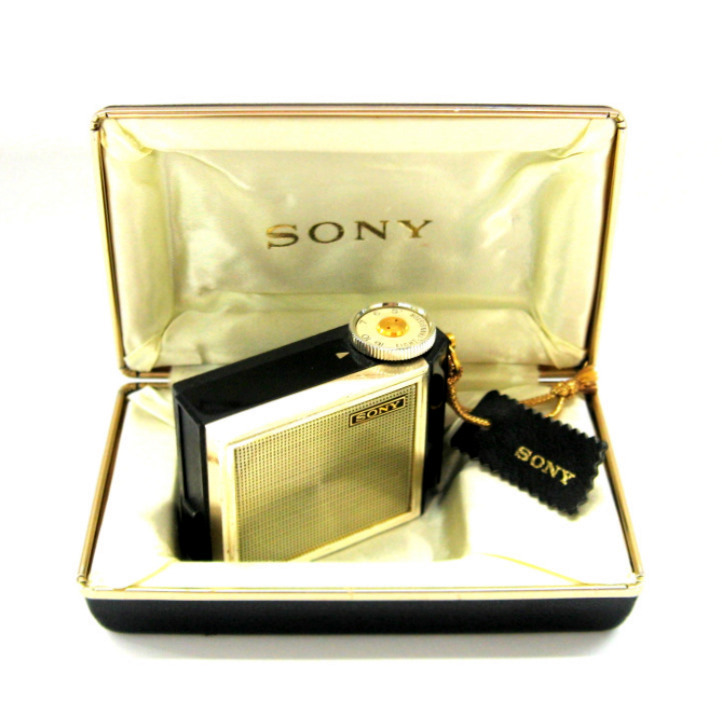 This Sony 1R-81 comes with a hard, silk lined clam shell case and instructions. 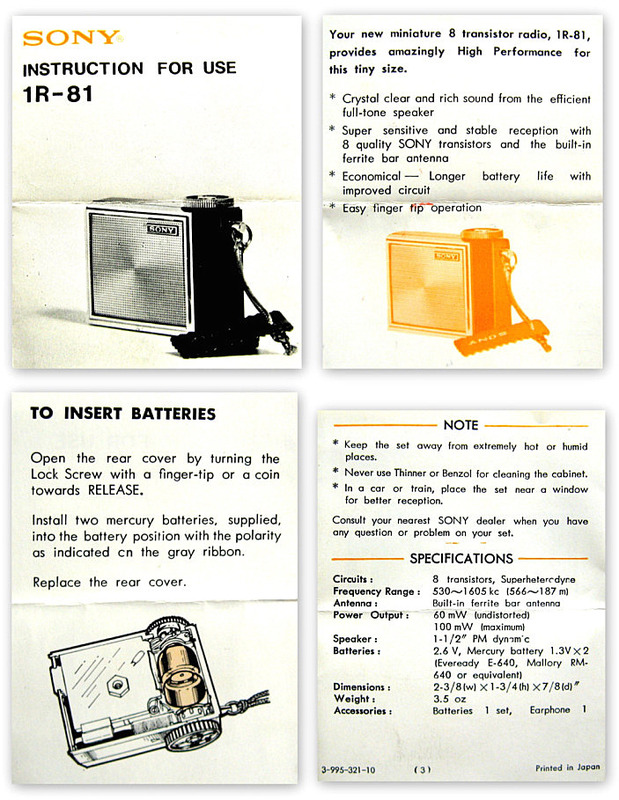 The case is marked on the inside 'SONY' and on the outside 'SONY 1R-81'. 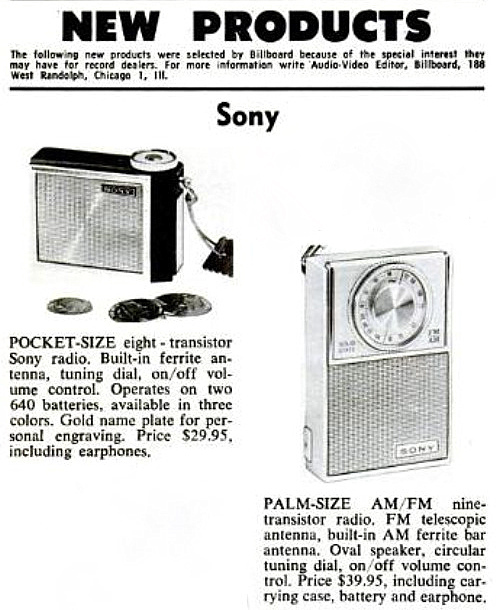 The following appeared in a December 25 1965 edition of Billboard Magazine. 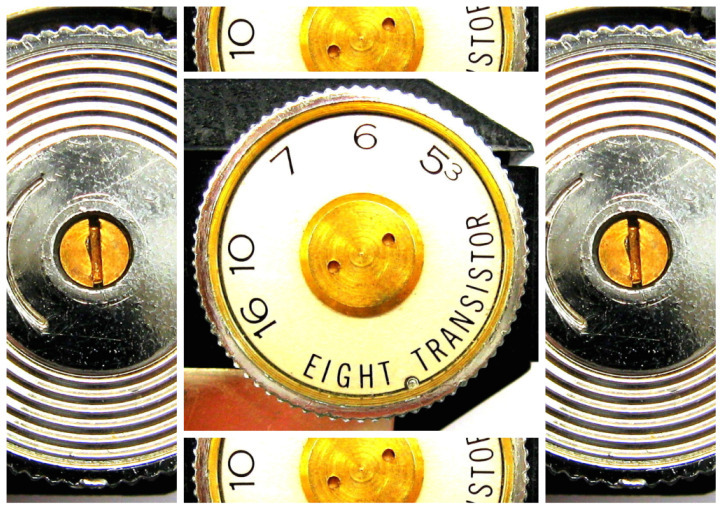 This 1R-81 uses 8 Sony transistors. 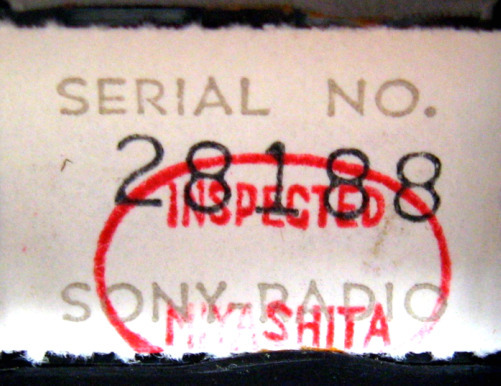 The circuit board is marked 'SONY 280-11' and it has a serial number of 28188. 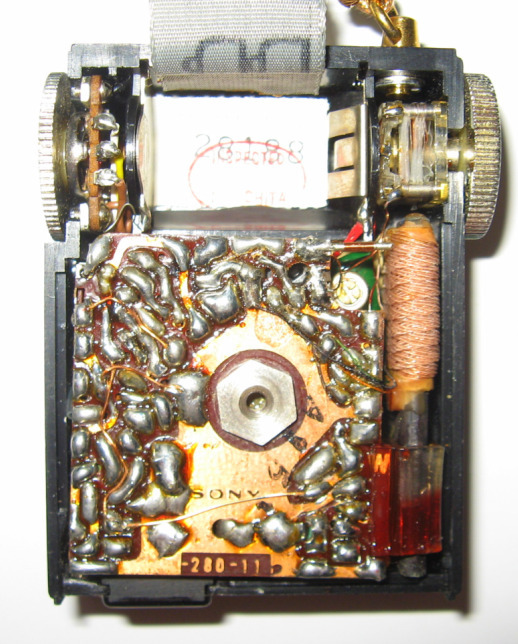 It uses two button cell 640 batteries which are still available today and this example works well.